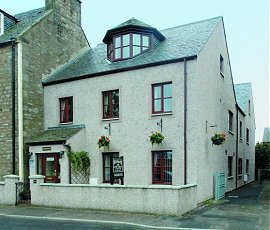 Highland Hospitality is assured at Westbourne Guest House, a multi-award winning guest house situated on the west bank of the River Ness, five minutes walk from the city centre, train & bus stations. It was built in 1998, being a custom build designed to offer all the facilities of a Hotel at Guest House prices. We are proud to be rated AA 4 Red Diamond, RAC 4 Diamond with the Sparkling Diamond & Warm Welcome Awards, Les Routiers and Welcome Host. A Full Highlander's cooked breakfast is included in the price with vegetarian & vegan options - special diets are catered for, though notice is required. 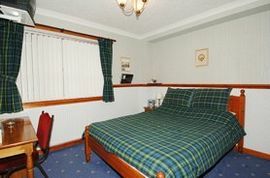 All rooms are en-suite with power showers and personal toiletries, CD alarm clock radio, remote control colour TV, DVD player, hospitality tray, hair drier, trouser press, refrigerator, cooling fan, central heating and safe. Westbourne also has Family rooms with cots & high chairs available if required. A broadband radio network operates throughout the building for Laptop users (radio adaptors available). An internet workstation is available for use in the residents lounge. Richard & Nan look forward to welcoming you to Westbourne - your home from home in the Highlands of Scotland. Special Diets Provision: Special diets are catered for. Advance notice required. Smoking Facilities: Smoking is not allowed. Non-smoking guest house. From A9 Kessock Bridge round-a-bout enter Inverness, A82 straight through three roundabouts and you will cross the Friars Bridge. As you exit the bridge, first left, (Wells Street). At the end turn right (Huntly Street). Drive into Inverness up to the traffic lights and turn left. Drive up to the roundabout and take the fourth exit, (Wells Street). 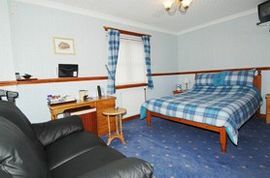 Double/Twin room single occupancy from £40. 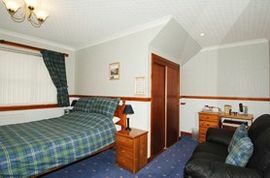 Double/Twin £32 per person per night. A Full Highlanders cooked breakfast is included. Reduced prices for children when sharing with parents, Babies free of charge. Open all year except Christmas & Hogmanay. Top Twenty Finalist AA Landlady of the Year 2006. Sparkling Diamond & Warm Welcome Awards, Les Routiers, Welcome Host.